Watchman Nee called it the "greatest known revival in church history." On October 31, 1904, Evan Roberts, a twenty-six-year-old former miner, returned home from a ministry training program, having quit his job at the urging of the Holy Spirit. That night, he joined sixteen other young people at a village chapel, and from that humble origin sprang a spiritual revival that roared across the hills and valleys of Wales. Thousands of souls were welcomed into Gods kingdom. Even the press could not ignore the changes occurring and eagerly reported on Roberts every move. Jessie Penn-Lewis (18611927) was an evangelist and author from England. Born in Victoria Terrace, Neath, her father was an engineer and her grandfather was a Calvinist Methodist minister. Evan Roberts, who was instrumental in the Welsh revival in the early 1900s, stayed with Mrs. Penn-Lewis and her husband, William, for a time. Mrs. Penn-Lewis had been an eyewitness to the revival. Roberts contributed to her book War on the Saints, which was written to counter what she perceived as the excesses of the revival and the deceptions of Satan at work to prevent the true work of God in awakening. War on the Saints is considered a textbook on spiritual warfare by many Christians. Mrs. Penn-Lewis also established and edited the periodical The Overcomer. 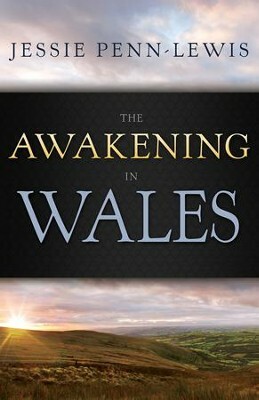 I'm the author/artist and I want to review Awakening in Wales, The - eBook.